The endless possibilities of this fabulous Roberto Coin necklace from the Tiny Treasure collection make it a great piece of jewelry. 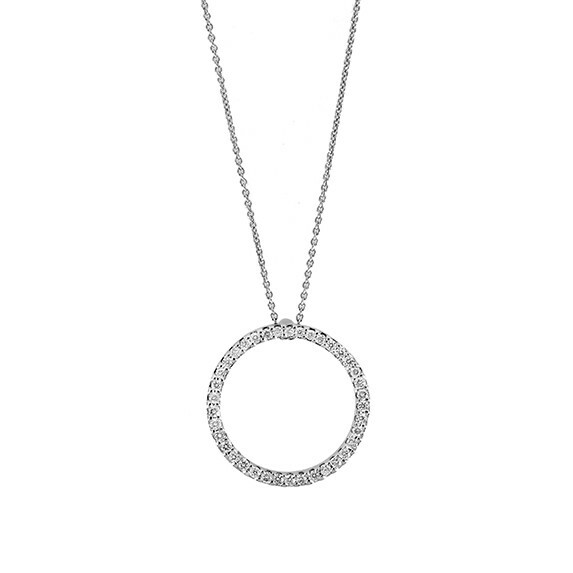 The circle pendant is crafted in brilliant white gold and embellished with vibrant white diamonds for a stunning shine. The charm floats elegantly on an adjustable chain. This Roberto Coin necklace is so elegant it can be worn with anything.